Members of The Church of Jesus Christ of Latter-day Saints can be found at every level of society — in business and charity, education and the sciences, political parties and government, the entertainment industry and news media. The Church of Jesus Christ of Latter-day Saints is the fourth largest Christian church in America. More than half of its 14 million members live outside the United States. 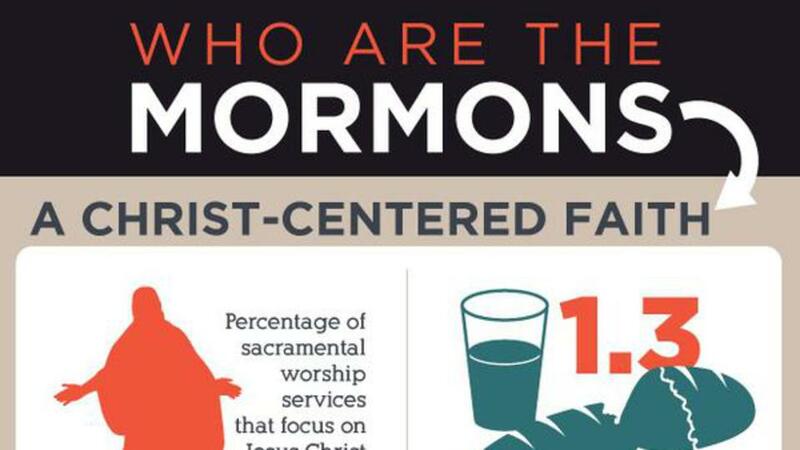 Yet despite the faith’s growth and presence, survey results continue to show that relatively few people are familiar with Mormon beliefs. As an institution, the Church has the responsibility to publicly and clearly articulate its official teachings. In turn, reporters can help inform the public by accurately reporting on these doctrines. But in doing so journalists should be aware of some common pitfalls. For instance, reporters pressed for time tend to take peripheral aspects of the faith and place them front and center as if they were vital tenets of belief. Additionally, sincere commentators often overemphasize what others see as “different” about Latter-day Saints at the expense of highlighting the Church’s most fundamental doctrines in their reporting. Unfortunately, as many members attest, this kind of journalism paints a distorted picture of the Church and continues to confuse the public. Despite these complications, the Church welcomes honest inquiry from all types of media outlets. The Church expects journalists to be accurate and honest and to focus on the faith as it is lived and believed by its members. The Church discourages sensationalized and misleading journalism that accentuates abstract ideas that do not reflect the beliefs, teachings and practices of the Church’s global membership. What Are the Core Beliefs of The Church of Jesus Christ of Latter-day Saints? 1. Jesus Christ is the Savior of the world and the Son of our loving Heavenly Father. 2. Christ’s Atonement allows mankind to be saved from their sins and return to live with God and their families forever. 3. Christ’s original Church as described in the New Testament has been restored in modern times. Latter-day Saints believe God sent His Son, Jesus Christ, to save all mankind from their sins (see John 3:16). God is a loving Heavenly Father who knows His children individually, hears and answers their prayers, and feels compassion toward them. Heavenly Father and His Son, Jesus Christ, are two separate beings but along with the Holy Ghost (Spirit) are one in will, purpose and love. Latter-day Saints worship Jesus Christ as their Savior and Redeemer. He is central to the lives of Church members. They accept His grace and mercy; they seek to follow His example by being baptized (see Matthew 3:13-17), praying in His holy name (see Matthew 6:9-13), partaking of the sacrament (communion) (see Luke 22:19-20), doing good to others (see Acts 10:38) and bearing witness of Him through both word and deed (see James 2:26). Latter-day Saints believe that God has a plan for His children to return to live with Him and become “joint-heirs with Christ” (Romans 8:17). For members of the Church, Jesus Christ’s sacrifice is central to God’s plan for our happiness. Although humans make mistakes and sin, Mormons view this mortal life as an opportunity to progress and learn. By following Christ’s teachings, embracing His mercy and accepting baptism and other sacraments, Mormons believe they are cleansed from sin through Christ’s grace and can return to live with God and their families forever. Members believe that Christ established His Church anciently on the “foundation of the apostles and prophets” (Ephesians 2:20; see also Ephesians 4:11-14) with “one faith, [and] one baptism” (Ephesians 4:5). They believe this foundation of “one faith” was gradually undermined after the death of Christ’s apostles. As a result, the original foundation of authority to lead the Church was lost and needed to be restored (see Acts 3:21). Today, members preach that the Lord has indeed restored His Church with living apostles and prophets, starting with the founding prophet of The Church of Jesus Christ of Latter-day Saints, Joseph Smith. Church members understand that families are the most important unit of society. Accordingly, those who follow Christ and keep His commandments are promised to live with their families forever in divinely instituted eternal relationships. The religious experience of Church members is based on a spiritual witness from God that inspires the heart and mind, creating an interpersonal relationship directly with God. The Church’s role is to help aid its members in their quest to follow Christ’s teachings. Therefore, the Church’s core doctrines strive in every instance to align with Christ’s teachings as outlined in the Bible and other sacred scripture, including the Book of Mormon. Yes. The Church of Jesus Christ of Latter-day Saints is a Christian church but is neither Catholic nor Protestant. Rather, it is a restoration of the Church of Jesus Christ as originally established by the Savior in the New Testament of the Bible. The Church does not embrace the creeds that developed in the third and fourth centuries that are now central to many other Christian churches. Latter-day Saints believe that God wants us to become like Him. But this teaching is often misrepresented by those who caricature the faith. The Latter-day Saint belief is no different than the biblical teaching, which states, “The Spirit itself beareth witness with our spirit, that we are the children of God: and if children, then heirs; heirs of God, and joint-heirs with Christ; if so be that we suffer with him, that we may be also glorified together” (Romans 8:16-17). Through following Christ's teachings, Latter-day Saints believe all people can become "partakers of the divine nature" (2 Peter 1:4). No. There are more than 14 million members of The Church of Jesus Christ of Latter-day Saints and not one of them is a polygamist. The practice of polygamy is strictly prohibited in the Church. The general standard of marriage in the Church has always been monogamy, as indicated in the Book of Mormon (see Jacob 2:27). For periods in the Bible polygamy was practiced by the patriarchs Abraham and Jacob, as well as kings David and Solomon. It was again practiced by a minority of Latter-day Saints in the early years of the Church. Polygamy was officially discontinued in 1890 — 122 years ago. Those who practice polygamy today have nothing whatsoever to do with the Church.